How to Tell Which Side is the Obverse of a Foreign Coin? When coins used to be struck by hand, the side of the coin that was on the anvil die was always the obverse. The side that took the hammer strike was the reverse. Nowadays, with machine struck coins, there is no longer an "anvil die" at all. So which side is which? This checklist will help you determine the obverse and reverse of less familiar coins. The obverse has the portrait. If neither side (or both sides) have portraits, try to apply item #2 below. The obverse side is different. In other words, the obverse side doesn't have the "common type." 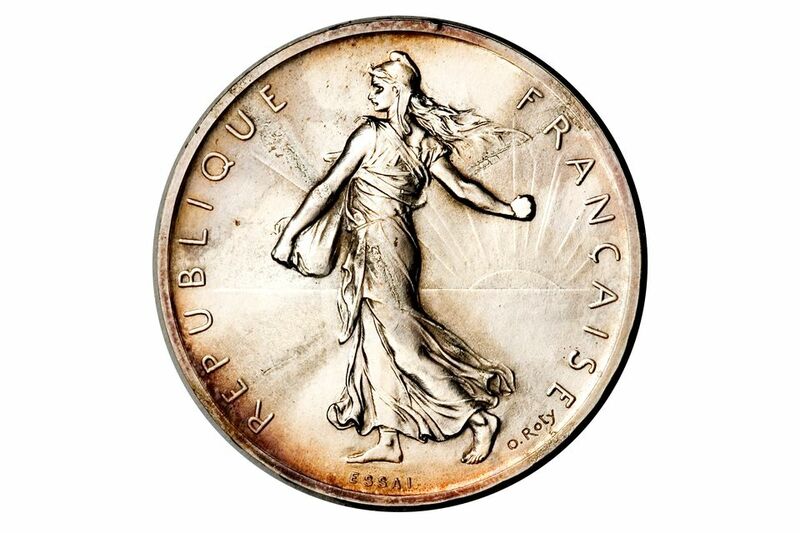 A good example of this is the Euro coin, which doesn't have a portrait. However, each country has its own design on one side, with a design common to all countries on the other side. The coins are said to share the same "reverse," more or less by mutual assent among collectors. This rule would also apply to a country that has a coat of arms (or some other common device) on its coinage (but no portrait.) If the common device appears on multiple denominations, the side without that device is the obverse. The side that bears the name of the country is usually considered the obverse in cases where the coin meets neither #1 or #2 above. Look at a proof set. If you have access to a special mint-issued set, such as a proof set, you can determine which side the mint considers to be the obverse because this side will be face up in the proof coin holder! Look it up in the "Standard Catalog of World Coins". I list this option last because if you had the book, you probably wouldn't be reading this checklist. Unfortunately, collectors disagree about many of the coins that don't fit one of the categories above, (and some that do), so whatever the book says about these coins should be taken with a grain of salt. There are some consistencies amongst the different coins throughout the world. Since it is impossible to tell by looking at a coin which design was produced by the anvil die in which one was produced by the hammer die, most countries follow some standard format. For example, the date that the coin was made is usually placed on the obverse of the coin. Additionally, if there is a portrait of a monarch or some other significant person, that is also usually placed on the obverse. Therefore, the reverse side is usually the one that was produced by the anvil die. The bottom line is that there isn't a scientific rule to differentiate the obverse from the reverse. It is become tradition that numismatists will generally agree upon which side of the coin is the obverse and which side of the coin is the reverse based upon commonly accepted practices. How Do I Find the Official Vatican Coin Store? Canadian Loonies and Toonies: What Are They?